Manufacturing and Industrial Engineering is a multi-disciplinary field that integrates exciting and diverse disciplines such as design, robotics, systems engineering, automation, mechatronics, sustainable engineering, manufacturing, operations management etc. (2) Mastery of the management of technological resources with a greater emphasis on design and operation of manufacturing systems, working in close liaison with strategic management and enterprise management with a good knowledge of manufacturing technology. The student is free to make his/her choice by selecting the optional courses appropriately. The core subjects are designed to suit both categories. 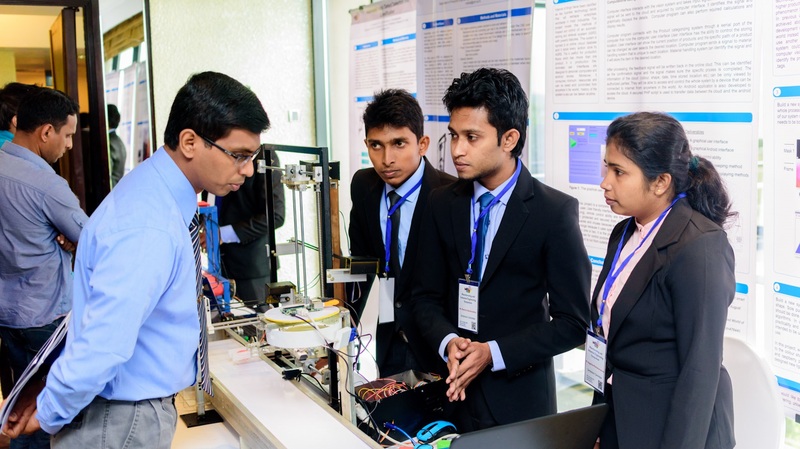 The Manufacturing Engineering Association (MEA), spearheaded by the staff and students of the Department of Manufacturing and Industrial Engineering, Faculty of Engineering, University of Peradeniya, organized the first ever symposium dedicated to Manufacturing and Industrial Engineering in Sri Lanka. The department was renamed as the “Department of Manufacturing and Industrial Engineering” in January 2017. The inauguration ceremony of the Post-Graduate Programme in Engineering Management - 2017 intake - was held on 27th January, 2017 at Engineering Faculty Seminar Room III. The programme is scheduled to be commenced on 12th February, 2017. Applications have now been called for the third intake of the Postgraduate Programme in Engineering Management due to commence in February 2017. The closing date for the applications has been extended to 20th November 2016.